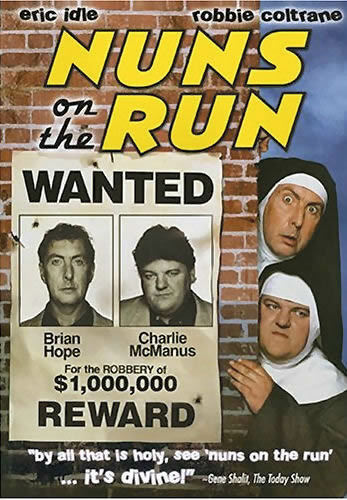 Nuns on the Run - 1st Unit Fire & Safety (Canada) Inc.
Brian and Charlie (B & C) work for a gangster. When the boss learns they want to “leave”, he sets them up to be killed, after they help rob the local Triads of their drug dealing profits. B & C decide to steal the money for themselves, but when their escape doesn’t go to plan, they have to seek refuge in a Nuns’ teacher training school.